Cynical nerds everywhere were baffled last week when Spider-Man: Homecoming turned out to actually be pretty good. James O’Brien was particularly upset about Tom Holland’s portrayal of the webslinger, particularly how likable and relatable the character was. Other angry nerds were similarly irritated at how Peter Parker seemed like a real kid at the beginning of an exciting but daunting journey. Amos then threw what remained of his jumbo popcorn on the ground in protest, before skulking off to sneak into another showing later that day in a desperate attempt to confirm his theory that Parker is actually a two-dimensional caricature of a person, rather than a well-written character who is a genuinely whole person as Peter and as Spider-Man. When asked about other characters in the movie, 35-year-old Larry Thompson begrudgingly admitted that although some secondary characters are fairly two-dimensional, they all nevertheless have their own characteristics that make them likable and entertaining to watch. Other characters, such as snarky outsider Michelle, struck most nerds as being frustratingly endearing and fun to watch. Nerds in general were equally surprised to discover that they liked the movie’s antagonist. When asked about the presence of Tony Stark in the film, most angry nerds refused to make eye contact while grumbling that Robert Downey Jr.’s character was mostly in the background as a distant mentor/father figure, allowing the weight of the story to be carried by Peter Parker alone. 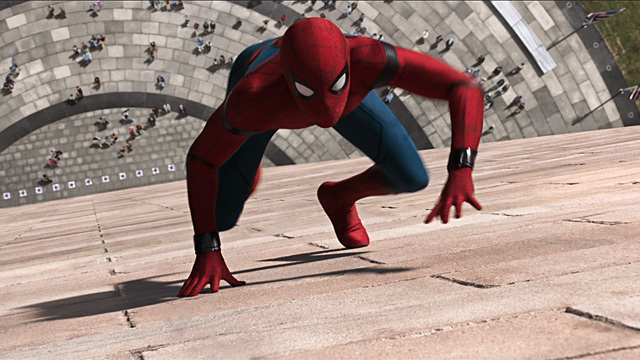 Leaving the theater feeling dejected, Mike Holmes admitted that he would probably be giving Spider-Man: Homecoming a 4 out of 5 on Rotten Tomatoes but wouldn’t be telling his friends about it. Nathan has a Master's degree in Counseling and is a legit mental health professional. While not being super serious and boring he likes pretending he's a Gray Jedi who is also Spider-Man.